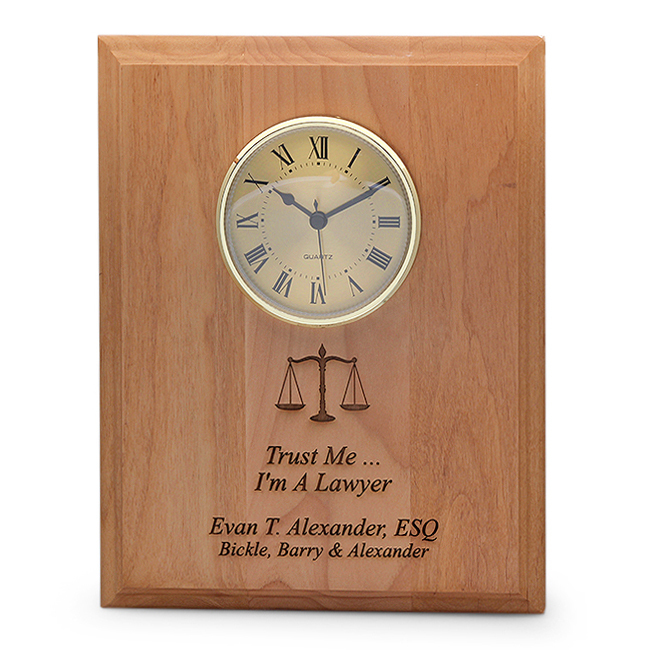 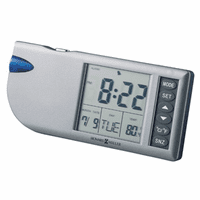 FEATURES/SPECS Give this lawyer's recognition plaque and wall clock to your favorite legal mind and it is sure to hang proudly in their office or workspace. 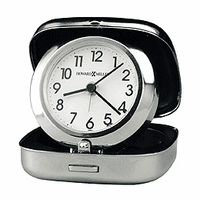 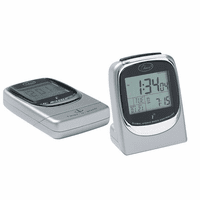 Made of solid red alder wood, this plaque includes an inset quartz clock and has rounded, beveled edges. 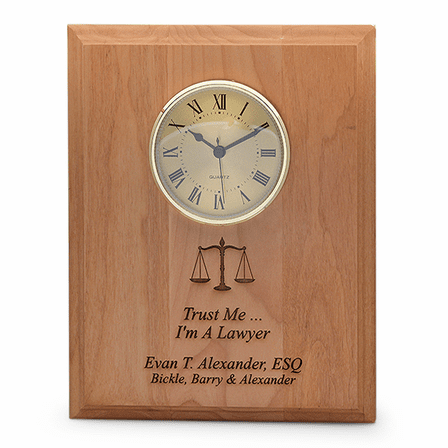 Below the clock, it comes with a legal scales emblem laser engraved right into the wood. 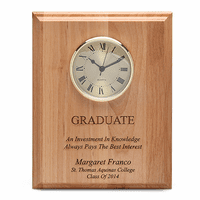 Add your own personalized inscription laser engraved below the emblem, perfect for recognizing an achievement or a job well done.